The mysterious duo behind ADULT. started releasing records 1998 under the pseudonym Plasma Co. 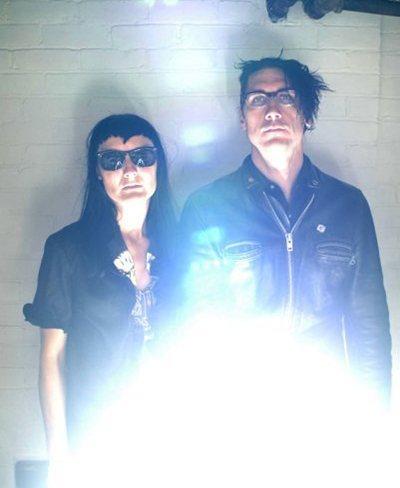 They became known quickly for their integration of vocals into analog synths and drum-machine electro. By 2000, it was clear that ADULT. had already developed a style based around their new electro sounds and the almost punk, robotic vocals and the confident and strange lyrics. For years the identity of ADULT. was unknown. we now know that they are husband-and-wife Adam Lee Miller and visual artist Nicola Kuperus. The two members are also the founders of the Ersatz Audio record label. ADULT. started gaining fame after releasing all of their material independently and touring relentlessly in the U.S. They have also remixed artists, like Felix Da Housecat,Fischerspooner and Bis. Vocalist Kuperus (who is also responsible for the band’s album artwork and photography) has sung on the works of other electronic acts including Death in Vegas,Swayzak and Chicks On Speed.